A message from the owners of Churchill Properties, Chris and Karen Bernier At Churchill Properties our team is committed to providing extraordinary, personable service and achieving exceptional results for our clients. We have devised an extensive marketing and sales program which provides broad exposure for your property on an international, national, regional, and local level. We utilize a wide variety of media channels, and promotional activities, including online, print, social media, property brochures, direct mail, and email marketing. Our targeted approach aggressively promotes your property to both the most relevant Buyers as well as the real estate brokerage community. Â Marketing and selling your property to best advantage requires accurate pricing, thoughtful staging, outstanding marketing, persistent Buyer engagement, expert negotiation skills, transaction management, and professional coordination of it all. Our comprehensive service includes handling the details of all these important steps and we will keep you informed throughout the process. Our goal is to achieve the highest selling price possible for your property, within the shortest reasonable timeframe, and with the least disruption to your lifestyle. Thank you for the opportunity to be of service and we look forward to assisting you in successfully achieving your real estate goals. Excellence in Marketing and Brokerage Services CHURCHILL PROPERTIES IS A FULL SERVICE RESIDENTIAL REAL ESTATE FIRM offering excellence in real estate brokerage services. Our unique marketing and sales program utilizes multiple media channels and promotional activities, including: •	A unique program custom-designed to maximize online and print media for your property •	Multiple international real estate websites – Zillow, Realtor.com, Trulia, and many more •	The Massachusetts multiple listing service – 25,000 brokers cooperatively selling homes •	Print advertising in quality international, regional, and local publications •	Powerful luxury networks - Luxuryportfolio.com, Luxuryhomes.com, Unique Homes •	Digital online advertising through Zillow, Facebook, and others •	Email marketing to the brokerage community and potential Buyers •	Property brochures, targeted direct mail, social media engagement and advertising •	Professional photography, video, and drone aerial imaging •	Professional floor plans and individual property website •	Through the multiple listing exchange, our listings appear on the websites of all other real estate companies and their listings appear on our company website Churchillprop.com Churchill Properties is a member of the LEADING REAL ESTATE COMPANIES OF THE WORLD, an elite international network of independent real estate companies, including 4,100 offices and 130,000 agents in 65 countries worldwide. The network results in thousands of relocation referrals annually from around the globe. Additionally, we employ their luxury program; Luxury Portfolio International (LuxuryPortfolio.com). PHILANTHROPICALLY, CHURCHILL PROPERTIES SUPPORTS THE HOME FOR LITTLE WANDERERS by contributing a donation with every transaction. The Home for Little Wanderers supports the lives and growth of thousands of disadvantaged children each year. Seven Steps to a Successful Property Sale 1. ACCURATE PRICING AND INTERPRETATION OF MARKET TRENDS. We carefully analyze your property, the current market conditions, and comparable properties to determine the highest price possible for your home. 2. PREPARING AND STAGING YOUR PROPERTY FOR “SOLD!” We provide written recommendations to maximize your home’s appeal to potential buyers. 3. POWERFULLY MARKETING YOUR PROPERTY. Our marketing program utilizes targeted media vehicles, including national and international websites, the MLS, strategic print and online advertising, powerful luxury real estate networks, high-quality brochures, direct mail campaigns, social media, and email marketing. 4. PERSISTENT BUYER ENGAGEMENT – Our systems support an immediate response to buyer inquiry. We engage in multiple buyer contacts to motivate potential buyers and encourage the sale of the property. 5. STRATEGIC NEGOTIATING We use our market knowledge, professional negotiation skills, and years of experience to obtain the highest price and best terms when negotiating for our clients. 6.	FINANCING ASSISTANCE - We work with several top loan officers at leading banks and mortgage companies in the area. We assist Buyers in securing the best financing for their needs. 7. TRANSACTION MANAGEMENT – We manage each step of the transaction to keep the sale on track, including the contracts, home inspection, financing, appraisal, and any obstacles that may arise. We handle all the details and keep you informed. AT CHURCHILL PROPERTIES WE EXCEL AT EACH OF THESE SEVEN STEPS. OUR GOAL IS TO... •	Obtain the maximum selling price available in the market. •	Affect the sale in the time frame that best meets your needs. •	Provide comprehensive service minimizing the disruption to your lifestyle. •	Professionally advise you at each step of the process. •	Keep you fully informed throughout the process. •	Make your move an easy and enjoyable experience. An Elite Global Brokerage Network CHURCHILL PROPERTIES IS A MEMBER OF THE LEADING REAL ESTATE COMPANIES OF THE WORLD, an international elite brokerage network including 565 firms, 4100 offices, and 130,000 associates in 65 countries worldwide. As a member of this global network, we can assist our clients worldwide using LeadingRE’s full range of brokerage services including: relocation, lead generation, luxury marketing, international internet exposure, technology systems, and state of the art learning systems. VISIT LEADINGRE.COM TO LEARN MORE. 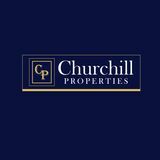 The Most Powerful Real Estate Websites WHEN YOU CHOOSE CHURCHILL PROPERTIES, your property is promoted on the most powerful national and international real estate websites in the world, giving your listing exposure to millions of potential Buyers. Your property will also be listed on the websites of all real estate companies participating in the MLS. Churchill Properties website — Churchillprop.com — features stunning photography and converts easily into seven languages for international inquiries. Other notable features include: •	Immediate notification to the listing broker on every Buyer inquiry •	Local real estate statistics on area towns •	Includes complete MLS and Global Luxury Search •	Beautifully optimized display on every device •	Links to all Churchill Properties social media pages •	Links directly to Leading Real Estate Companies of the World (LeadingRE.com) and LuxuryPortfolio.com We are Premier Agents on Zillow and drive local Buyer leads from Zillow directly to your listing on ChurchillProp.com. 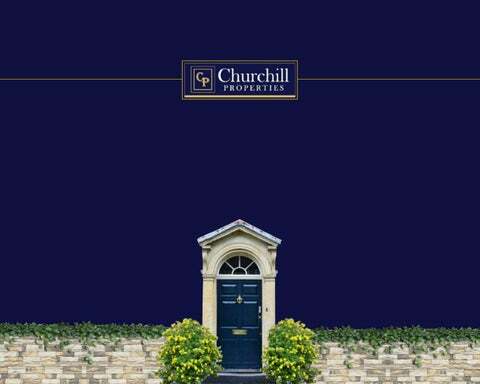 Luxury Portfolio International: 65 Countries / 800 Cities CHURCHILL PROPERTIES IS A MEMBER OF LUXURY PORTFOLIO INTERNATIONAL, one of the worlds premier luxury marketing programs. •	LuxuryPortfolio.com has more than 3 million high net worth visitors annually •	LuxuryPortfolio.com translates into 9 languages and 60+ currencies. The average household income of visitors is $1.1 million •	Connects you with buyers in more than 800 cities and 65 countries •	Syndicates to the WallStreetJournal.com and Juwai.com, the largest Chinese real estate portal for promoting U.S. and Global properties behind the Chinese firewall. They have 1.7 million viewers each month. ARAB EMIRATES – URUGUAY – U.S. VIRGIN ISLANDS – U.S. WALES – ZAMBIA. Unique Homes Media  nique Homes International Magazine and U Website exposes your property to the world’s most affluent individuals. Its distribution includes: •	A readership of over 100,000, sold by subscription, and for sale at thousands of newsstands and bookstores in the U.S. and worldwide •	The Forbes 1000 CEO’s •	An exclusive list of individuals with a net worth of $10M+ •	Private Jet facilities across the U.S. and International airline club lounges •	Hudson News in airports across the U.S. •	Digital version of every issue is sent to 100,000 affluent individuals worldwide •	Advertised properties appear for one year on UniqueHomes.com, the world’s leading luxury real estate website. Allow us to turn your real estate vision into reality. Print Media Promotion WE UTILIZE A WIDE VARIETY OF LOCAL AND REGIONAL MAGAZINES AND NEWSPAPERS to promote your property and drive Buyers to ChurchillProp.com. Among these is North Shore Magazine, which exposes your property to an affluent readership of 112,000 with every issue. Direct Mail and Property Brochures We produce high quality property brochures using professional photographers and by writing effective property advertising that highlights the best features of your property. The brochure includes multiple photographs, aerial photographs, floor plans, detailed property specifications, property history, town/area amenities. We have a robust, targeted direct mail program designed to attract Buyers for your property and we send thousands of high-quality real estate catalogs, and property specific postcards, annually. Professional Photography, Floor Plans, Aerial Drone Imaging At Churchill Properties we employ professional photographers, videographers, and drone videography/photography to ensure your property has an exceptional online presence. This is essential to successfully marketing your home as potential Buyers often first evaluate properties online. In addition, we have floor plans produced for every listing. Individual Property Websites An individual property website is produced for your property and includes multiple, professional photographs, map location, floor plans, and property description. Customized Marketing Plan WE CUSTOMIZE A MARKETING PLAN FOR YOUR HOME, INCLUDING MORE THAN 25 MARKETING AND SALES ACTIVITIES 1. Professional opinion of home value and recommendations for optimal pricing. 13. Online and print advertising. 2. Staging review/redesign – written recommendations from our professionals to maximize your home’s appeal. 15. Diligent follow up with all open house attendees and any others who have contacted us regarding the property. 14. Open houses (if desired) for the public. Home Enhancement & Staging Within seconds of arriving at your property, Buyers are forming an opinion based on their first impressions. Preparing your home to create the most appealing presentation will help sell your home in less time and at the best possible price. 12 Simple Improvements to Enhance Your Homeâ&#x20AC;&#x2122;s Value 1. Remove excess furniture and create easy, flowing traffic patterns. Less is often better. 2. Improve lighting by installing recessed lighting or additional lamps. A well but softly lit room creates appeal. 3. Paint any areas/rooms in need and change very bold, personal colors to more neutral colors. 4. Refinish worn floors with fresh polyurethane. 5. Unclutter by removing all excess personal belongings and empty over-filled closets. 6. Replace worn carpeting, rugs, lampshades, furniture. 7. Add accessories such as fresh flowers, pillows, throw blankets, mirrors, and sculptures. 8. Enhance the curb appeal by improving the exterior â&#x20AC;&#x201C; repair, paint, landscape. 9. Thoroughly clean all rooms, especially the kitchen and bathrooms. 10. Wash the windows and open all shades for daylight showings. 11. Neutralize any strong odors from pets or other sources. 12. Clean out and organize the garage.  e will provide a written list of potential improvements and W we can assist by referring and coordinating local specialists in cleaning, painting, flooring, home repair, and landscaping, if needed. We also work with capable, professional home stagers who will consult, redesign, or stage as desired. Showings and Offers BUYER SHOWINGS: All of our marketing and sales efforts are designed to encourage Buyer showings for your property. Buyers who have elected to visit a property generally have a higher level of interest as they have often first viewed it online in detail. The following is recommended for showings: •	It is best if the owners are not present. This allows the Buyers to feel comfortable and imagine themselves living in the property. •	The property should be clean and in a neat condition. •	The lights should be turned on; a well lighted house is more attractive. •	Be sure the house is at a comfortable temperature. •	Soft background music contributes to a positive environment. If desired, we will gladly contact you after showings to provide feedback. OFFERS TO PURCHASE/NEGOTIATIONS: Buyer’s interested in purchasing your property will communicate their offer in writing on a standard offer form. We will present all offers received as soon as possible. We professionally evaluate each offer and recommend a response. As the owner you may accept the offer, reject the offer, or choose to counter-offer. Managing the Transaction There are several aspects to managing the transaction from an accepted offer to closing. We will conduct and/or coordinate these including: THE HOME INSPECTION – This normally occurs within 10 days of an accepted offer and is conducted by a licensed professional inspector paid by the buyer. If defects in the property are discovered, we will assist in negotiating a resolution if necessary. PURCHASE AND SALE /SECOND DEPOSIT - The preparation and signing of the purchase and sale agreement occurs within 12 days of an accepted offer. This is normally prepared jointly by the attorney for the Buyer and the Seller. A second deposit is made by the Buyer upon signing of the purchase and sale agreement. BUYER FINANCING - The Buyer makes application and begins the loan process for financing upon signing of the purchase and sale. PROPERTY APPRAISAL - An appraisal of the property occurs as a component of the financing process. This is conducted by a licensed appraiser who is hired by the lender to substantiate the value of the property relative to the purchase price. We will meet the appraiser and provide them with relevant market information. NOTIFY UTILITY COMPANIES – The utility companies must be notified regarding the change in ownership – Gas, Electric, Cable, Telephone. This should be done a minimum of two weeks prior to closing. NEW DEED – SELLER TO BUYER – The Seller must have a new deed prepared by an attorney, deeding the property to the Buyer. This will be delivered at closing and the funds will be paid to the Seller when the new deed is recorded at the registry of deeds. SMOKE AND CARBON MONOXIDE DETECTORS – Massachusetts Law requires that all properties have fully functioning smoke alarms and carbon monoxide detectors prior to closing. The local fire department conducts these inspections. We will coordinate this process with the fire department. CLOSING PREPARATION - The closing attorney will conduct a title search and prepare all the required closing documents in preparation of the closing. This occurs approximately two weeks prior to closing. FINAL PROPERTY VIEWING - There will be a final property viewing by the Buyer just prior to the closing. The Seller should plan to be fully moved out the day prior to closing. The property should be free from all personal possessions and clean. FACTORS WITH LIMITED OR NO AFFECT ON THE VALUE OF YOUR PROPERTY. The city or town assessed value of your property. The appraised value of your property. The purchase price you paid for the property. The amount of money you need or want from the sale. THE BENEFITS OF PROPER PRICING. •	Presents as a reasonable value to Buyers. •	Receives immediate interest, showings, and offers from Buyers. •	Creates urgency and motivates Buyers to act. •	Urgency and interest often results in a higher selling price. •	Limits the time on market. THE EXPENSE OF OVER PRICING YOUR HOME. •	Limited or no Buyer interest. •	The existing Buyer group, at time of listing, rejects the property. •	An exceptionally long time on the market. •	Buyer concern regarding potential property defects. •	Price reductions are required to meet the market value. •	In a declining real estate market, the selling price is falling daily. Choosing a listing price is one of the most important decisions you will make in marketing your property. 1. Several marketing and sales initiatives are launched in the first 30 days of marketing, giving immediate, broad exposure to the property. 2. Real estate websites such as ChurchillProp.com and the MLS automatically send email alerts to Buyers when properties are listed that fit their criteria. 3. There is a large group of existing Buyers who have been in the market for sometime and are evaluating each newly listed property. This group generally knows market values, are preapproved for financing, and are ready to make a purchase decision.